I’d like to express to you and the rest of the “One Summit” crew how grateful I am for the opportunity to share in the “events” associated with your organization. I do mean events. When I was invited to participate in the climbing event, sponsored by One Summit, and I was matched up with Connor Heffler, I was not really prepared for what an impact that would have on my life. 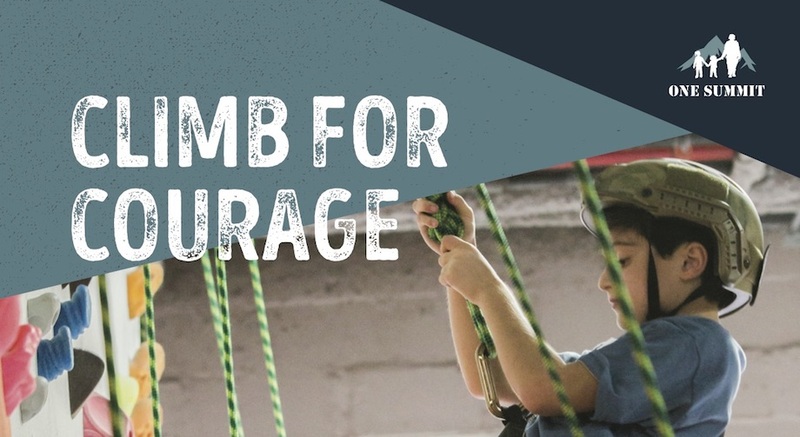 Connor attended the climbing event with his twin “Evan” and his cousin “DJ.” As a retired, and combat wounded Navy SEAL, I thought I had experienced quite a bit of adversity. When I met Connor and learned of his trials with cancer, I was immediately humbled. Connor was 10 years old and had been exposed to far more physical trials than I had ever seen. While we spent the day together with me helping him get his harness on and helping him choose routes up challenging climbs at the gym, I was overwhelmed by the spirit he demonstrated. Connor, amidst his illness, was a life-force. His smile broke through any awkwardness that I may have felt. His warmth and keen wit were a gift throughout the day. In short, Connor was overwhelmingly compelling to me. Here I was, thinking that I needed to help him feel stronger, help him feel better about life and the challenges he faced, but the truth was, Connor was helping me. As you know, Connor passed away a few days ago and I was fortunate to get to come be with his family at a fundraising event they had pre-scheduled. It was moving. His family came together and they graciously included me in their celebration of Connor’s life. Part of your mission statement reads “building resilience in childhood cancer patients.” But, I can’t help but smile at the things that Connor and this whole “experience” built in me. A grown man, and veteran, a participant in over 150 direct action combat missions and having served 25+ years in the US military. I thought I’d been exposed to quite a bit, but this special opportunity has made a bigger impact on me than I’d ever expected. I am very grateful for your work in creating these opportunities for both the kids and us. I do not know if it was part of your plan to have us, the military participants, be so overwhelmingly effected by this “Climb for Courage,” but I want you to know that I consider my time with Connor and his family, one of the most impactful experiences of my life. Please let me know what I can do to help you continue your mission.